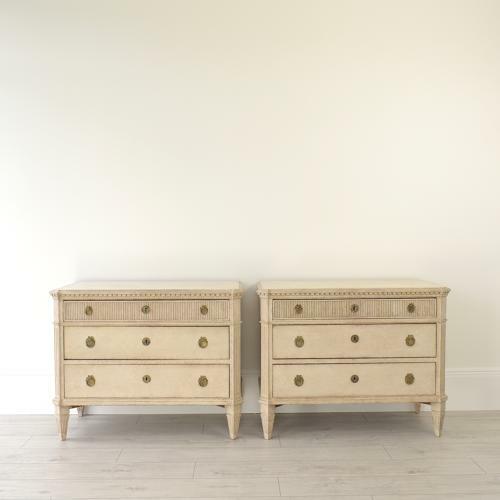 An outstanding pair of 19th century Gustavian style chests with a beautiful antique creamy beige patina. The chests feature a dentil tooth trim with canted & fluted corners, a vertically fluted top drawer, with matching fluted side returns, and elegant square tapered & fluted feet. Restored. Swedish circa 1870.